^ Chengdu Unveils its New City Logo. news.ifeng.com. 2011-12-30 [2012-02-10]. 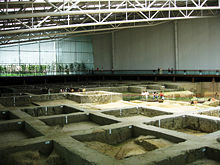 Sanxingdui Museum. The Sanxingdui site: mystical mask on ancient Shu Kingdom. 五洲传播出版社. 2006: 134. ISBN 7508508521.